Oil pans can become punctured by sharp debris on the road. Your oil pan is nearest to the ground beneath the vehicle; running over an object—particularly at high speeds—can certainly damage the oil pan, which holds oil. The gasket seal that keeps oil inside the pan and from leaking is rendered inoperable, as there is now another escape for the oil. Generally when oil pans are damaged in such a way, they need to be replaced. Routine oil changes are essential for your Jaguar’s engine, but often oil changes by irresponsible shops can lead to improper methods of auto care. Over-filling oil is unfortunately a common reason for oil leaking. Your Jaguar engine should have a legible fill line for motor oil, and professionals and do-it-yourselfers alike should be sure to always adhere to the owners’ manual instructions. Your engine’s oil system is an in-and-out system, where oil enters in the top of your engine, and escapes through the bottom for oil changes (or, usually, when leaks occur). There are several gaskets and seals that keep the oil contained within the system and pressurized, which allows it to flow freely throughout to continue proper engine lubrication. Over time, in Jaguars as well as all other vehicles, these gaskets and seals can become worn-out and lead to oil leaks. Gaskets and seals are generally easy to replace and relatively inexpensive. Changing the oil and the oil filter frequently, or at least as recommended by the manufacturer, is critical in order to keep your Jaguar in the best running condition. The clarity and level of engine oil in your Jaguar should be routinely monitored by a Jaguar specialist to avoid dirt and debris from contaminating the oil system, leading to extensive repairs. Oil leaks and ineffective engine oil causes damage to your engine, causing other parts to fail or malfunction. By performing regular tune-ups and inspections, your automotive specialist will have a good read on your Jaguar’s overall performance. Furthermore, it is essential to use the right type of oil and oil filter for your car—not all cars require the same type of motor oil. The expert staff here at Tech Plus Automotive has over 15 years of experience serving clients in the areas of Scottsdale, Phoenix, Paradise Valley, & McCormick Ranch, AZ. We have seen our fair share of Jaguar issues, and oil leaks are one of the common ones. Since vehicles can show symptoms of other issues due to oil leaks, we believe that, generally-speaking, accurate diagnostics are the heart of quality automotive work. 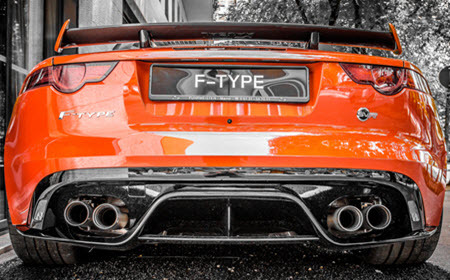 We have a passion for European imports, such as Jaguar vehicles, and we make it our mission to properly diagnose and treat every encounter as if one of our own family were driving it. Our ASE certified technicians take pride in their automotive skill and expertise, and put it to good use restoring cars to their optimal potential. If your Jaguar is leaking fluid, please contact our shop to perform a quick and accurate diagnostic procedure—we look forward to the opportunity to prove ourselves as the trustworthy, honest, and reliable dealership alternative in your area.